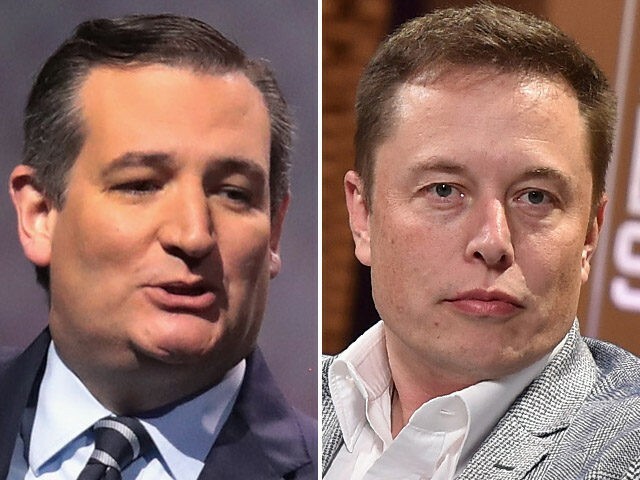 Sen. Ted Cruz (R-TX) ripped into Tesla CEO Elon Musk Thursday night for his use of a private jet after the tech billionaire tweeted his disapproval of President Trump pulling out of the Paris Climate Accord. Musk, the CEO of Tesla and SpaceX, took to Twitter to announce that he would be departing from all future presidential councils in protest of President Trump’s decision to pull the U.S. out of the Paris Climate Accord. He assured his followers that global warming is real and that leaving the Paris accords is “not good” for America or the world. Hours later, Cruz mocked Musk’s outrage, pointing out that he regularly travels around the country in his own private jet. If the billionaire CEO was so dedicated to reducing the world’s carbon output, Cruz snarked, he would choose to fly commercial planes rather than private ones. Read the rest from Lucas Nolan HERE.